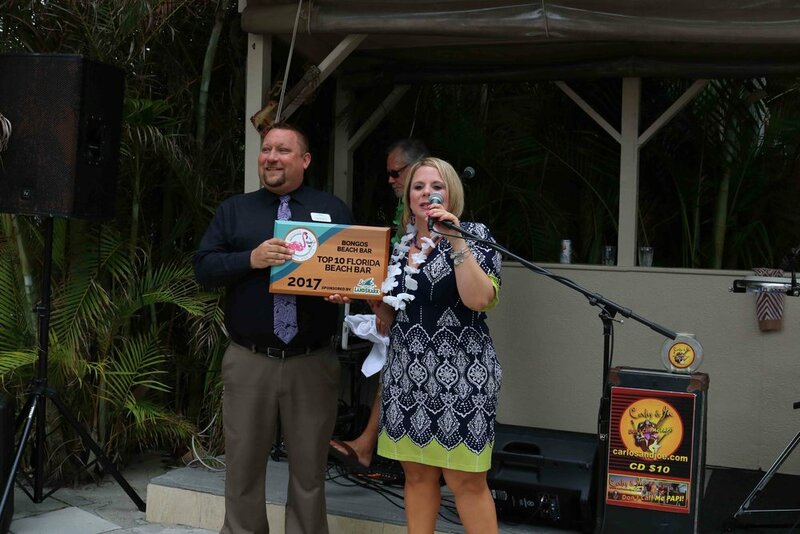 The staff of Bongos Beach Bar accepts the 2017 Top Florida Beach Bar award. 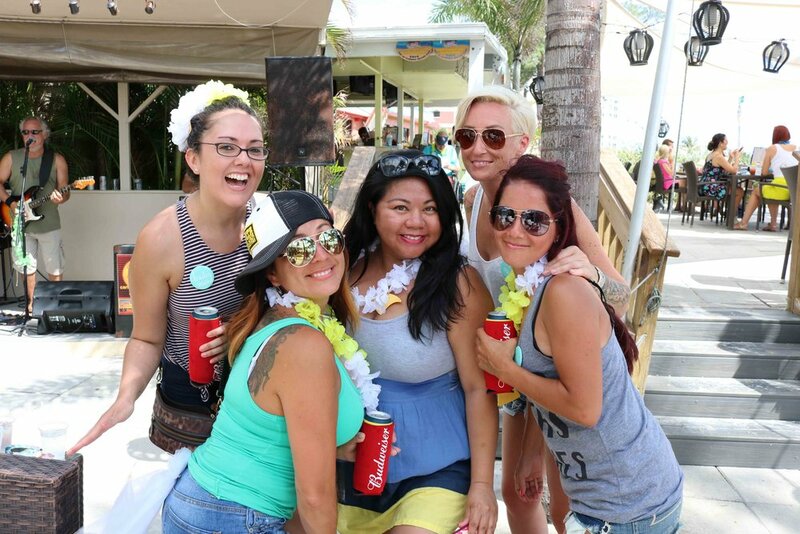 Bongos Beach Bar celebrated their Top 10 win in the 2017 Best Florida Beach Bar contest sponsored by LandShark Lager with music, giveaways, and drink specials! They are no stranger to the contest as they have placed in the Top 10 for the past 6 years! 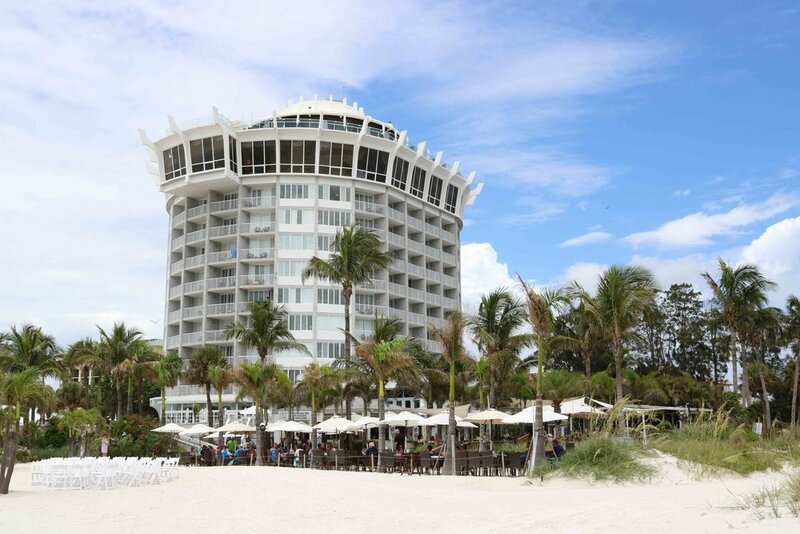 Carlos and Joe provided the perfect beach music for a fun afternoon. They have a wide variety of songs and a sound that you can listen to all summer long. Be sure to check out the Florida Beach Bar facebook page as we went live with Carlos and Joe playing some Jackson Browne at the party. 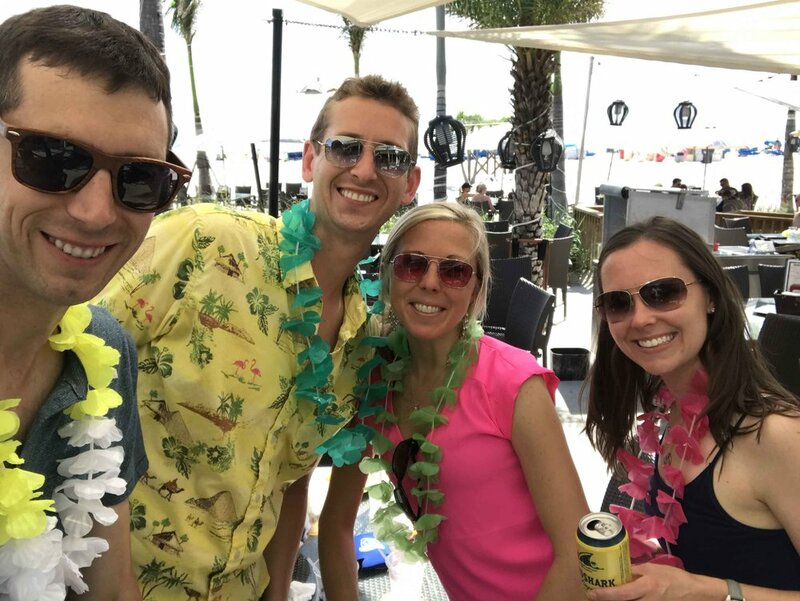 The staff of Bongos put everyone in a great mood by wearing tropical lei's, handing out fun beach hats, and delivering the exceptional service we all come to expect at this great beach bar. Well done Bongos and congrats!